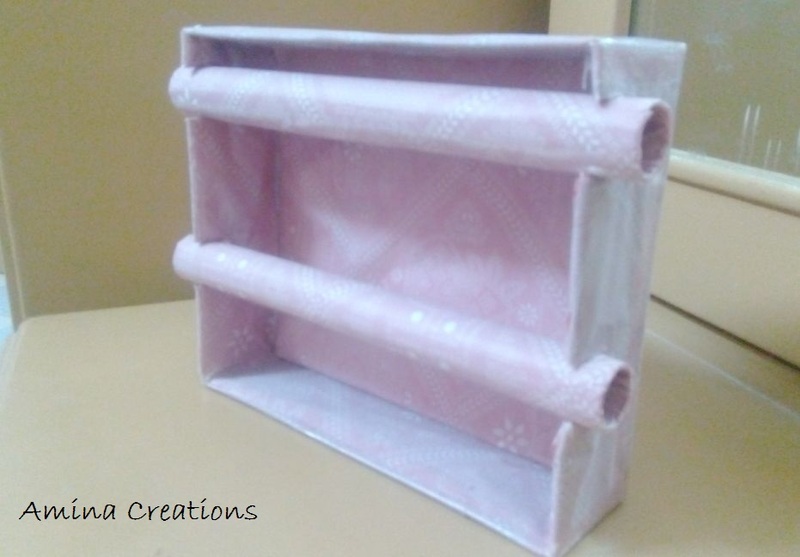 I like doing DIY crafts as it gives me the option of making a thing according to my preference, likes and requirements. 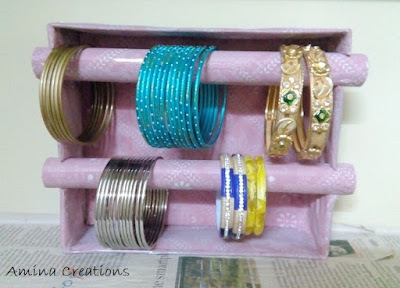 This bangle stand was long overdue and one fine afternoon, I made this bangle stand in just about an hour. 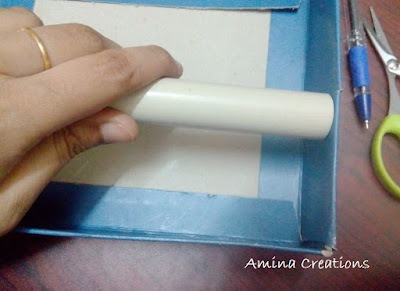 It needs just a few things - a PVC pipe, a cardboard box, cellotape, colour paper and scissors. 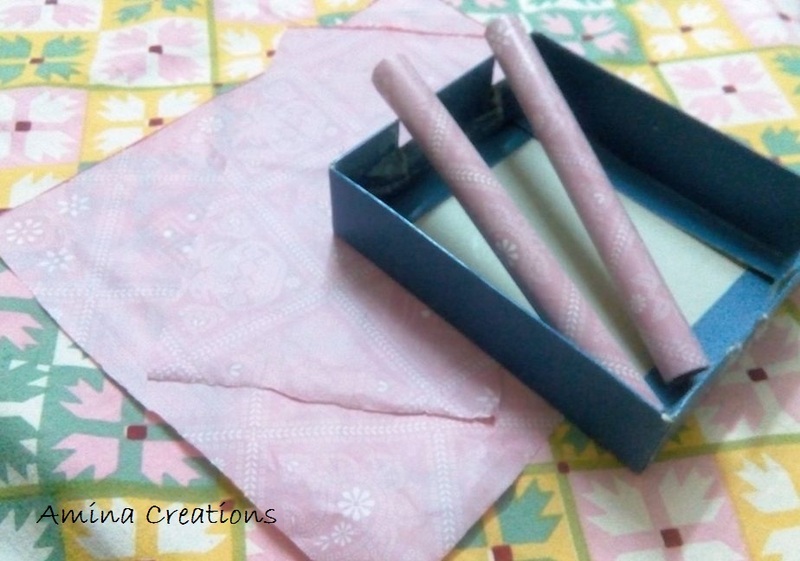 Select a Cardboard box which is strong and apt for making a bangle stand. 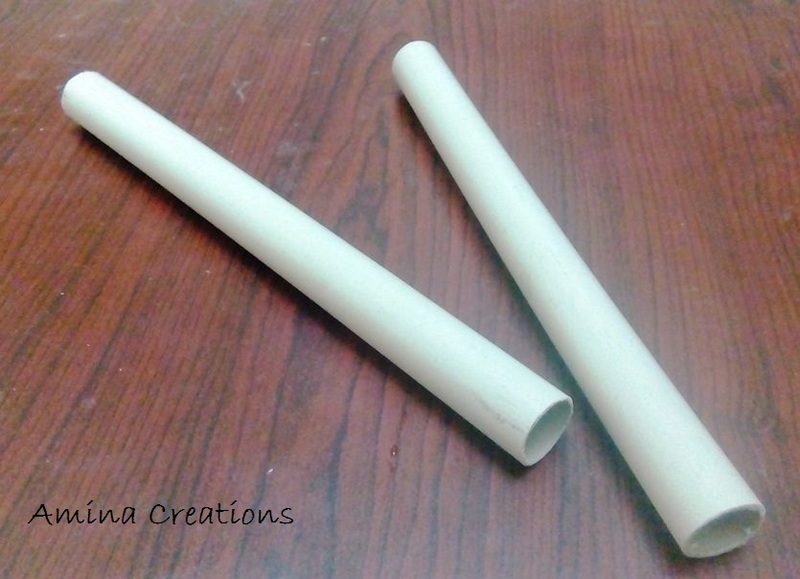 I took a PVC pipe and cut it into two. 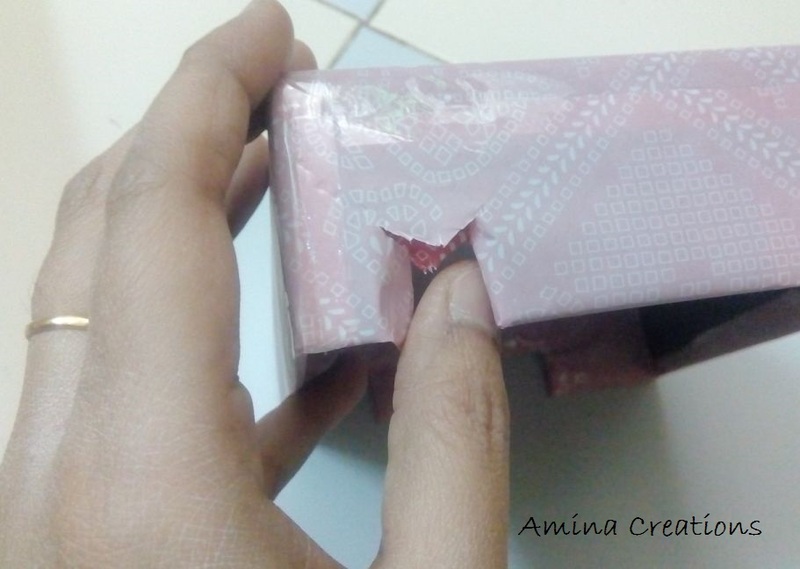 You can also use used aluminium foil holders in place of this. 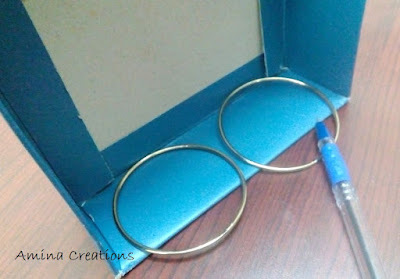 Take 2 bangles, place on the cardboard sides where you want your bangle holder(pipe) to be and mark as shown. 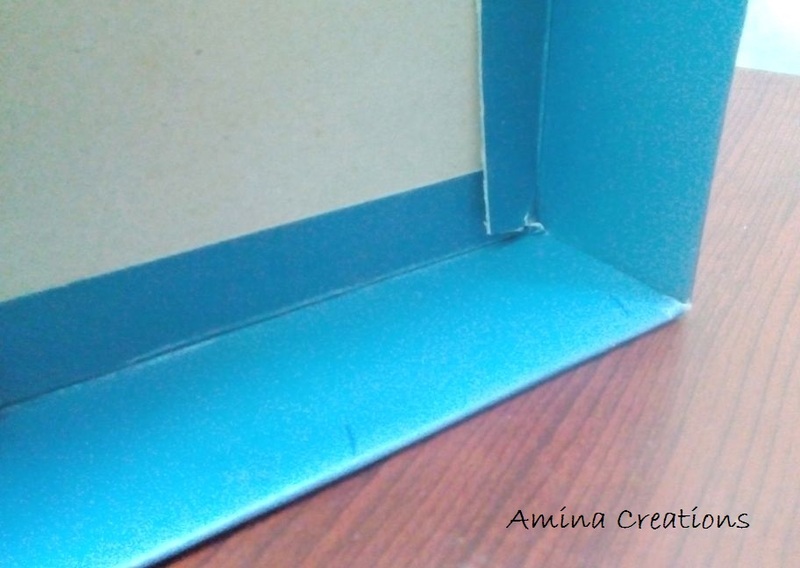 Make a cut on the marked line. Place the pipes on the marked edge and cut out small pieces such that the pipe sits in place inside the cardboard. Cover the pipes and the box with colour paper, velvet paper, plastic wrap or any other covering material of your choice. 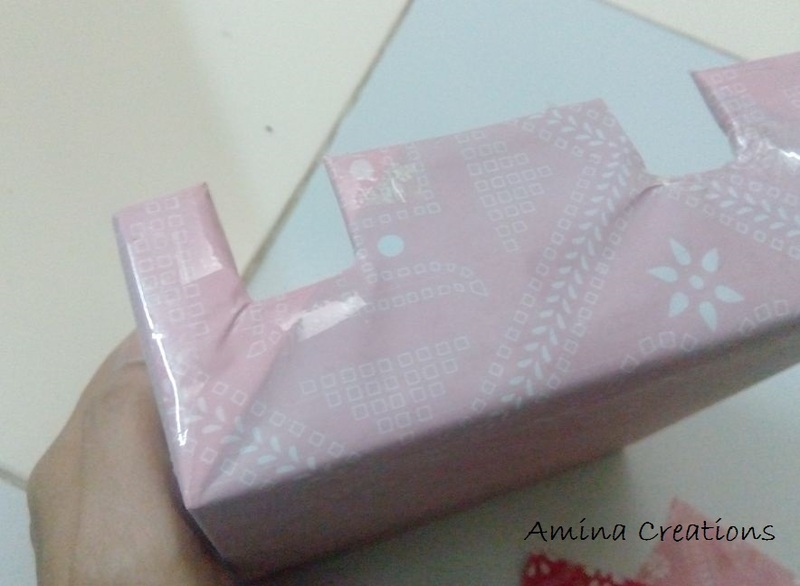 Cover the inner side as well with paper and tape. 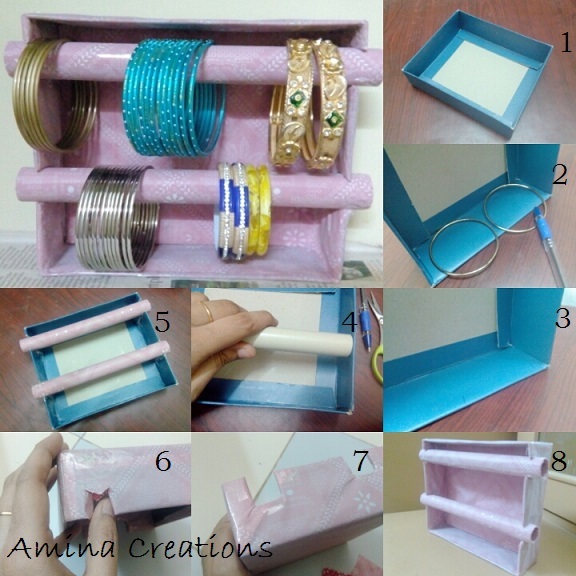 Your bangle stand is now ready. 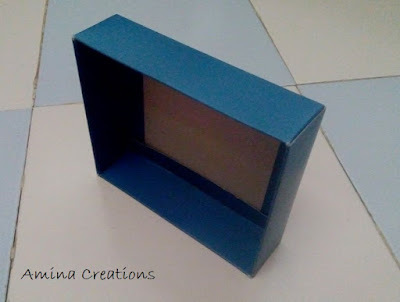 Place it on your dressing table and hang your bangles. 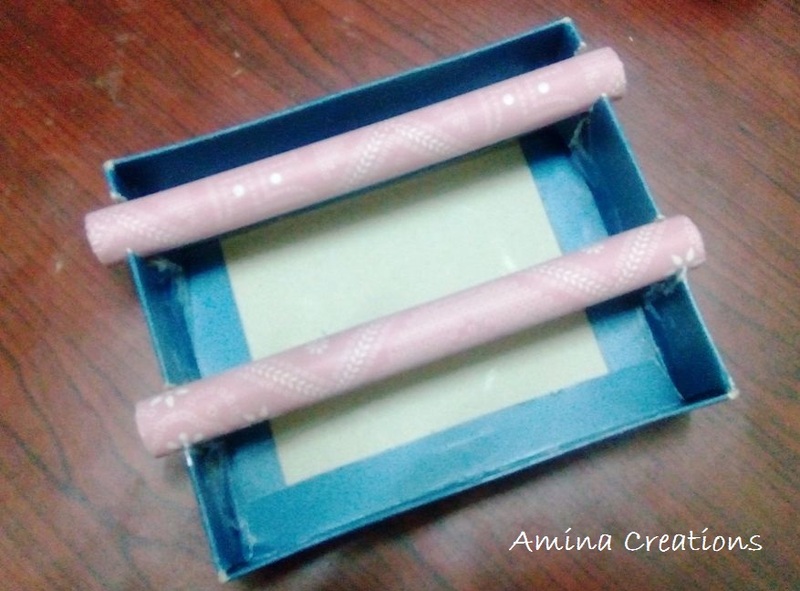 Linking this with Mommyhood Moments, Joyful Homemaking, Jembellish and Our mini family.